South Korea’s tragic past is cloaked with fear and not one individual would have the guts to go back to that path. The country’s well-known rag to riches story has been a venerated tale which continues to inspire other Asian nations. But thanks to the brilliant thinkers, innovators, and entrepreneurs of this East Asian territory, the country managed to avoid repeating history. 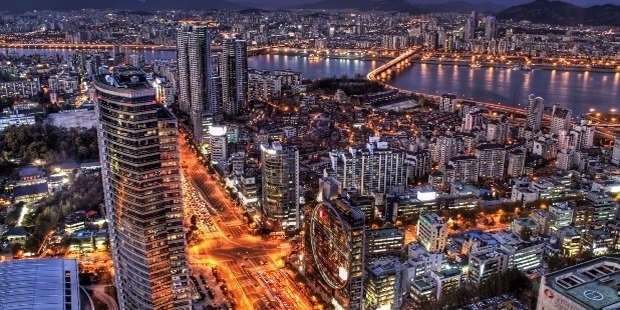 With so many prominent CEOs in the country, South Korea is back on its feet and and it sure is ready to announce with pride the string of successes of startups within its borders. Despite other businesses in which GDPs are facing detrimental issues and possibilities of being forced into bankruptcy, some companies have proven that stars shine the brightest in pitch black night. In a recent article, we featured five South Korean successful businesses which included the likes of a mobile application developer, entertainment provider, and even cosmetic brands. We continue our exploration of South Korea's flourishing industry by showcasing five more of the country’s successful startups that have treated the South Korean economy with extreme delight. Traveling alone or with peers can be pretty fascinating when you know what places or tourist spots you will be visiting. Places filled with abundant history and beaches scented with sun-kissed skin and salty air are two things out of so many delightful elements that make tourists want to visit a particular region of a country. Although the prospect of travel sounds exciting, booking tickets and looking for promotions may take some time which could delay some personal engagements. If you’re looking for an application that keeps you updated with travel promotions packaged with accommodations, then Withinnovation’s mobile application may fully satisfy your spirit of adventure and discovery. The development of mobile applications pertaining to travel have been very astounding thanks to the innovative creators of the 21st century. Yeogieottae, which is translated as ‘how about here’, tops the Google Play charts under the category of travel apps. The convenience of this app has spread like wildfire to other mobile users, and as a result, the company had earned roughly US$188 million in 2016. Countless accommodations are made by almost 2 million active users in a month with last year’s record as basis. As of 2017, the startup company is planning to install this application together with the highly developed technologies like IoTs, VRIs, and AIs. Convenience of boarding flights will be redefined once the experiment announces the success of their app updates. Life today probably wouldn't be the same if it weren't for the many mobile applications developed by some of the brightest minds working tirelessly to push the boundaries of innovation. Gone are the days when things like contacting a relative or a friend in a different region, keeping yourself up to date with various social events, or maybe getting yourself a cab when each one is already hired. Luckily enough, app developers have created what they create best which have been multi-beneficial.